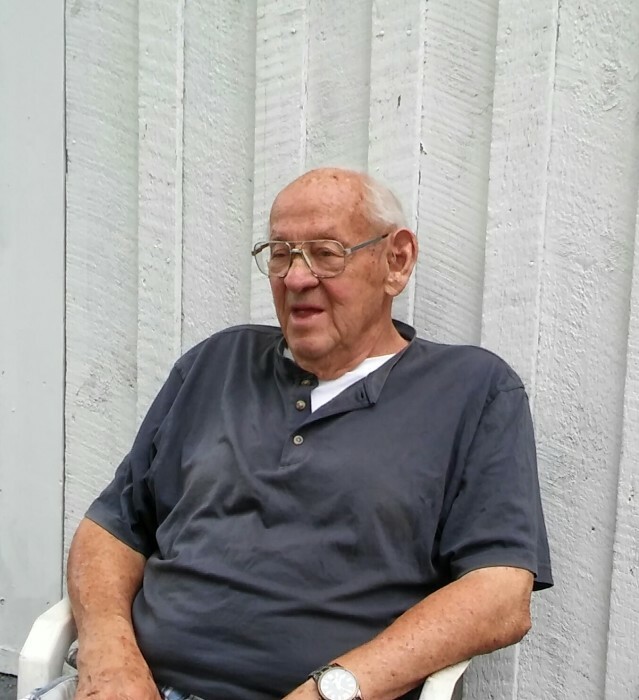 ORANGE- John Timothy O’Lari Sr., 91, of King Street, died peacefully at home on Sunday, November 11, 2018 with family at his side. Born in Athol on September 25, 1927, he was a son of the late Bertolemeo and Theresa (Ollari) O’Lari and grew up in Orange and graduated from Orange High School in 1944. In 1956, John married Mary Ann (Dodgen) and they enjoyed 56 years together until her death in 2012. John enlisted into the United States Army on September 25, 1950 and served during the Korean Conflict. He was honorably discharged on August 24, 1952. John owned and operated O’Lari’s Barbershop in Orange with his son Timmy for 40 years before retiring. An avid sportsman, John loved the New York Yankees and had played semi pro ball in his younger years as well. John was well loved by his family, friends and the community in general and will be greatly missed. Survivors include his children, Shari Ollari Lozier and Lynn Ollari-Reith, both of Athol, and Michael Ollari of Graham, NC; Grandchildren Nathan Fisher, Matthew Fisher, Trevor Lozier, John T. Ollari III, Elysia Ollari, Stephanie Molnar, and Miranda Dunham; great grandchildren Madyson Fisher and Lillian Fisher; nephews, nieces, including Barbara Ollari Quijada; two great, great nephews he adored, James Lafford and Manny O’Lari; cousins and many friends. Besides his parents and wife, John was predeceased by a daughter, Debbie Ollari Dunham, a son John T. “Timmy” Ollari Jr., his siblings, Alfred O’Lari, Richard O’Lari, Florence Paluilius, Jenny Boudreau, Caroline Gikis, and Annie Winoski. Also, nephews, Bobby Ollari and Tony Winoski. A graveside service will be held on Wednesday, November 21, 2018 at 11 a.m. in Silver Lake Cemetery, off Horrigan Avenue, Athol. In lieu of flowers, donations are suggested to the Massachusetts Special Olympics , 512 Forest St, Marlborough, MA 01752.